With its centuries old history, stunning coastal landscapes and, not to mention, hearty cuisine, it’s no wonder Normandy has long been a prime destination for those after a balance of relaxation and exploration. With such a massive range of Canvas Holidays campsites to choose from, too, camping in Normandy is an easy and exciting option for both families and couples alike. If you still need convincing of Normandy’s appeal, we’ve rounded up three key reasons why you should make it your next camping holiday hotspot. Normandy has to be one of the most fascinating regions of France for those interested in medieval and Renaissance history. 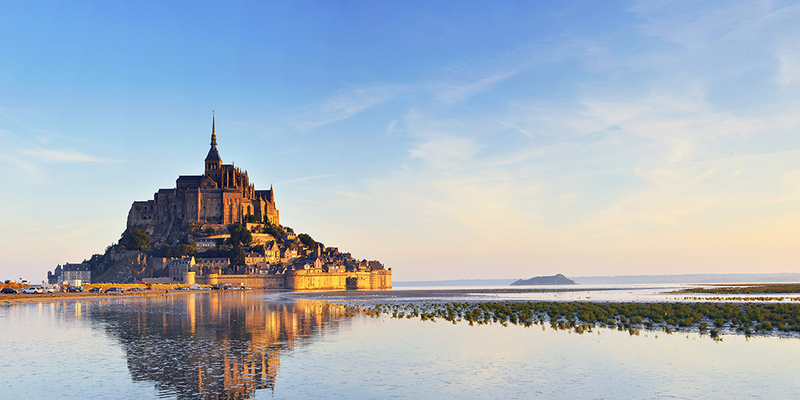 Once the starting point of the Norman invasion of England in 1066, it’s also home to the incredible island monastery of Mont-St-Michel. The picturesque town of Bayeux is where you’ll find the eponymous Bayeux Tapestry – a millennia old cloth that’s woven with scenes from the Norman Conquest. The city of Rouen is full of medieval treasures like the Gothic Notre-Dame de Rouen Cathedral and Rouen Castle, while Giverny is where you’ll find the garden full of lilies that inspired French artist, Monet. There’s also plenty of modern history to be found in Normandy due to its role as a key battleground during WWII. Head to Omaha Beach and Juno Beach to see the sites of the D-Day landings or make a trip to the Caen Memorial Centre to learn about the many battles and those who took part. 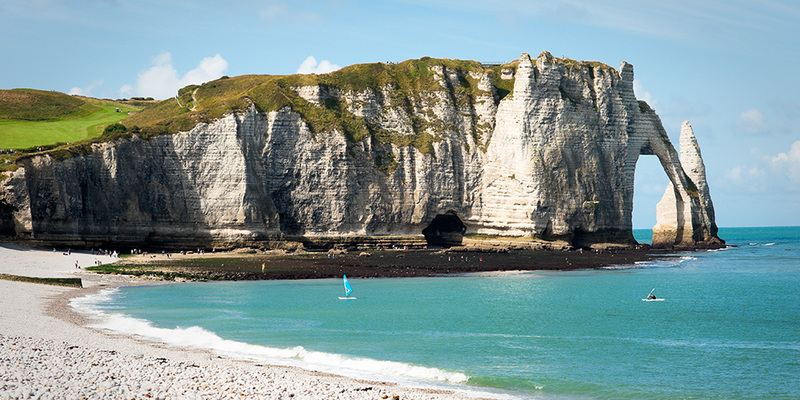 Normandy’s white cliffs and vast beaches definitely rival those across the channel for their beauty and drama. While many have deep and poignant associations with WWII, they’re also pretty great spots for a family day out in the sun. Stay at Camping Aguielle Creuse in the quiet coastal village of Les Loges that’s just a short drive or leisurely walk from a handful of pretty shingle beaches. Further west – overlooking Jersey and Guernsey – is where you’ll find Camping du Golf. Located near Saint-Jean-de-la-Rivière, it’s only a stone’s throw from some traditional Norman fishing villages. Natural and historical charms aside, Normandy makes the perfect destination for a camping holiday if you’re keen not to travel too far. It’s just a car ferry ride from the south coast of England, meaning you can even drive in your own car if you don’t feel like hiring one. There’s additionally numerous campsites in Normandy not far from the ferry terminals, including Camping Orée de Deauville – situated in the glamorous resort town of Deauville – an hour outside of Caen.